You can “do” Vegas at just about any price point. 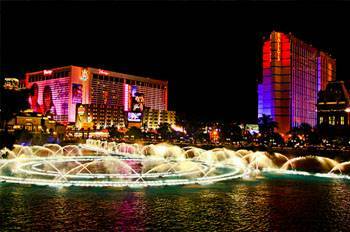 From ultra luxury resorts to $29/night off-the-strip specials, Vegas has it all. 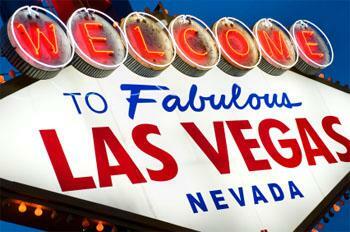 Most Vegas vacationers, however, are seeking the most bang for their buck, and nothing beats free. Whether you’re trying to visit Vegas for as little money as possible, or you’d like to minimize your entertainment expenditures and save money for the casinos, these are our top picks for free things to do in Vegas. The Bellagio water show takes place rain or shine, but be warned: if there are high winds on the strip, the show might be cancelled. At Circus Circus, daily circus performances begin at 11am, start about every 30 minutes, and continue throughout the day until midnight. This is, by far, the most popular freebie for visitors with children. Shows are held in the Carnival Midway area, which is in the middle of casino: look for the big stage and you’ve found the right place. The acts change frequently, so you never know if you’re going to see a sky-high trapeze artist or clowns on unicycles. Kids and adults alike may enjoy the Fall of Atlantis show, taking place in front of the Cheesecake Factory in the Caesars Palace Hotel. A seven-minute long retelling of the story of Atlantis is acted out when the fountain’s statutes come alive through animatronics. Be sure to check out the giant 50,000 gallon saltwater aquarium behind the fountain, and find out when the divers will be feeding the exotic waterlife that day. Another water-based animatronic show called Festival Fountain also plays throughout the day nearby. Treasure Island’s “Sirens of TI” is a well-known free attraction. 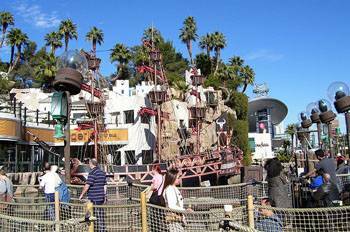 Taking place on the large pirate ship in front of the hotel and right on the Strip, this PG-13 show features pyrotechnics, special effects, singing and dancing. Showtimes are daily at 5:30 p.m. (fall/winter only), 7:00 p.m., 8:30 p.m., 10:00 p.m., and 11:30 p.m. (spring/summer only). Many complain that the “adultrification” of Treasure Island has adversely affected this long-running show, making it more about scantily-clad women than the pirates themselves (who are now the shirtless pirates). If you’d like to venture beyond pyrotechnics, laser light shows, and the grandiose, Vegas has several more natural free attractions. A lion habitat in the MGM Grand puts dozens of lions on display daily, and flamingos lounge around near the Flamingo Hotel’s pools. The Bellagio has an often-changing botanical conservatory on its grounds, featuring exotic plants you’ll likely never get the opportunity to see in the wild. Finally, Vegas has some exciting opportunities for TV lovers and their families. The Venetian’s Preview Studios and MGM’s CBS Television City allow visitors to watch brand new television pilots. Your opinion could seriously impact whether or not the show will make the cut to primetime. Better yet, the Venetian’s Preview Studios will actually pay you for your time–in the form of cash or admission to one of their other attractions–making this one Vegas attraction that’s better than free. You can bring the whole family, as they often test everything from cartoons to crime dramas. John is a travel writer originally from the UK and currently working on a new Las Vegas holidays website. When you’re ready to get away from the strip for the day see his recent post on day trips from Vegas.